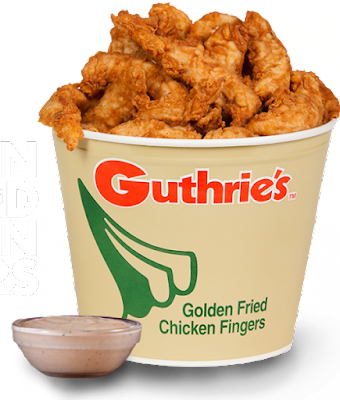 Guthrie's, which proudly proclaims itself to be the home of "The Original Golden Fried Chicken Fingers," is returning to the greater metro Atlanta area after a three year absence. 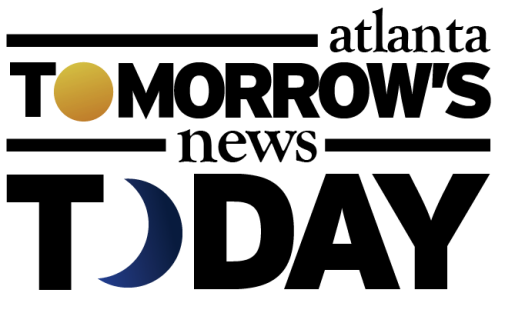 Our friends at Scoop OTP reported Friday that the company is looking to open at least four new locations in the coming years including two in Canton in Cherokee County, one in Cobb County and another one in Locust Grove in Henry County. Matt Dahlhauser of Dahlhauser Group told Scoop OTP he could not release specifics or a timeline yet, but Scoop was able to independently confirm the two Canton locations. One freestanding Guthrie's is coming to a new development at the corner of Sixes and Ridge Roads. Signage at the site indicates the project will also include a new Circle K, Waffle House and Dunkin' Donuts. The second freestanding Canton location is planned for Highway 20 & East Cherokee Street where it will be joined by a new Circle K, along with a new Taco Bell. The "Cobb County" location may be planned for Mableton. On the Dahlhauser Group website they list two "upcoming" projects, a "commercial mixed use" project in Canton and another in Mableton. Buckner Crossroads, planned near the intersection of Buckner Road and Veterans Parkway, is expected to include a 2,000 square foot "QSR" (Quick Serve Restaurant) as well as a handful of other businesses. The parcel marked "QSR" seems ideally sized and situated for the chicken chain. It's unclear where the Locust Grove location will be. Dahlhauser is reportedly also "pushing more expansion" and even hoping to bring Guthrie's back to Athens and other colleges in Georgia. In 2009, there were 41 Guthrie's. Today, Guthrie's has a total of 27 restaurants in five states, including 17 in its home state of Alabama and two in Georgia, in Ringgold in Catoosa County and in Trenton in Dade County. In 2015, Guthrie's celebrated its 50th anniversary. 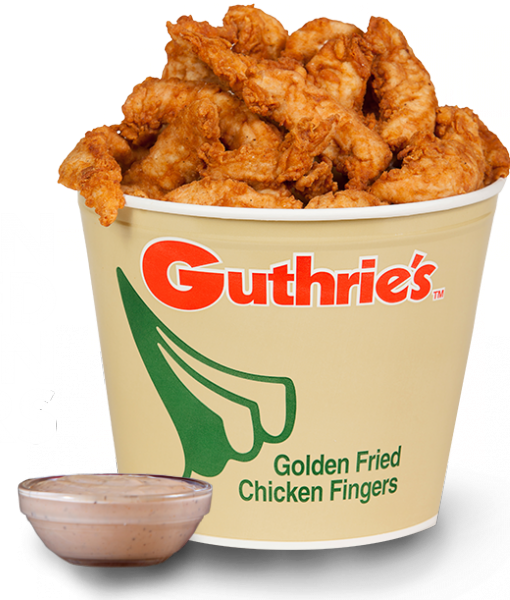 Guthrie's, you see, while similar to chains like Zaxby's and Raising Cane's, was actually the first restaurant to perfect the golden chicken tender made popular today by the two large chains. Hal Guthrie opened the first Guthrie's on the campus of Auburn University in 1965, making the move to focus primarily on their popular golden chicken tenders in 1978. Zach McLeroy and Tony Townley opened the first Zaxby's in Statesboro, Georgia in 1990. Now based in Athens, the chain has grown to over 800 locations. Todd Graves and Craig Silvey opened the first Raising Cane's in Baton Rouge, Louisiana in 1996. Today, the chain has grown to nearly 400 locations with location #400 expected to open October 16 in Menifee, California. Guthrie's previously had at least six other Georgia locations, two in Athens, one in Danielsville (north of Athens) one in Columbus, one in Dunwoody and another in Norcross/Peachtree Corners. The first Athens outpost, located at 795 Baxter Street, opened in 1984 and was the chain's first expansion market outside of Alabama. A second east Athens location eventually opened at the corner of Gaines School Road and Cedar Shoals Drive. Both locations reportedly closed in 2004. The Baxter Street location was demolished and rebuilt in 2006 as Raising Cane's, with the inline east Athens location now operating as Choo Choo, a Japanese-Korean restaurant. The Dunwoody location, located along Chamblee Dunwoody Road in an outpacel of Georgetown Shopping Center, was built on the site of a former Dairy Queen. The restaurant opened in 2004 and closed in 2013. Takorea, a Mexican-Korean fusion restaurant opened in the former Guthrie's in 2014. The Norcross/Peachtree Corners location opened in a former Donatos Pizza not long after the pizza chain left the market in late 2002. The outpost seemed popular, but abruptly closed in early 2016, and Smoothie King opened in its place in early 2017. Are you excited by the prospect of Guthrie's returning to metro Atlanta? Where would you like to see Guthrie's open? What is your favorite quick-serve chicken chain? Used to love Guthrie's in Athens in the mid 90s. I was excited when they came to Atlanta. Both the Dunwoody and Norcross locations were good at first, but over time, the portions shrunk while prices climbed. Service at the Norcross location was a big issue too. We once went there and most of the lights were out even though it was during operating hours. They were open but were just trying to avoid any work. I sure hope they get it right this time - like them way better than Zaxby's. I also loved the old menu choice - box or plate, that's it. Guthrie’s please come back... but this time hire the courteous, clean, conscientious , employees, so that customers want to return...gnowhaimsayin? It seems to be all about the employees. The location on Chamblee Dunwoody was ruined because of the employees that did not care. The Auburn location is always great and fun to go to.  DEMAND at minimum $15/hour to be courteous, clean, conscientious, employees ... gnowhaimsayin? Same thing happened to me. Grew up down the street in Athens. I had to beg them to serve me at Norcross location because they wanted to go home an hour before closing. I wondered why they cleared the land next to the dollar store (don't remember which one) at Buckner Road and Veterans Memorial. @4:24 You can paint a turd, you can pay a turd. But in the end, it is still a... gnowhaIamsayun? I'm sure it's really hard to find decent employees to work at quick serve restaurants (other than Chick-Fil-A), but it can be done. The Subway in Akers Mill S/C on 41 always has really good employees. Also, I've never had poor service at Willy's. The employees at the Grecian Gyro right next door to where the Chamblee Dunwoody Guthrie's was are good too. Come to think of it, the Takorea - where Guthrie's was also has good employees.